Transforming how customers pay for their daily commutes. With payment options becoming more limited as transportation agencies convert to electronic payment systems and eliminate cash, the daily commute is getting even more difficult for millions of drivers and riders. Rather than an obstacle, this can be an opportunity. We keep consumers on the road and in your store. Whether you are looking to drive retail revenue or keep cash-preferred riders on the road, our tolling and transit products and extensive retail network are meeting an important need that no other financial technology company can match. More and more tolling agencies are integrating electronic, cash-free payment systems. Our tolling products make sure all consumers have a convenient way to keep moving down the road. Our tolling starter kits give consumers everything they need to stay on the road, including a tolling card to fund their account and a transponder for easy payment on the road. Using our tolling cards, consumers and commuters can quickly and conveniently fund their tolling account, driving them into their local retailers for reloads. 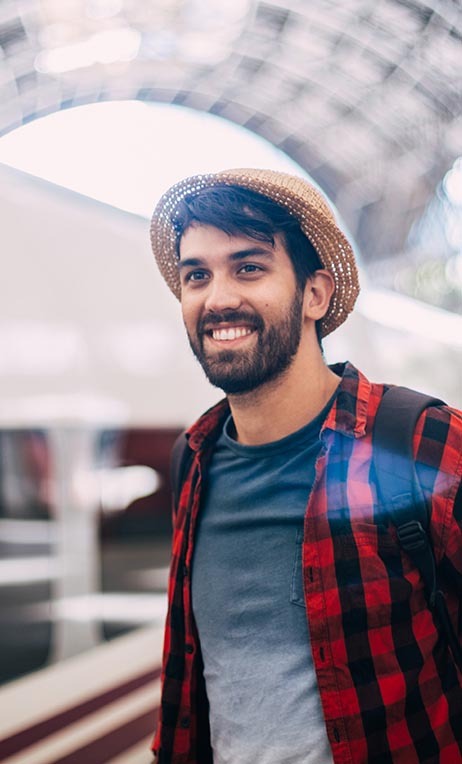 Using public transportation is a commuting solution millions of consumers use every day, and our fare media make it simple for them to hop on their bus or train without complications. Our transit cards, distributed through our retail network, make it easy for consumers, especially the cash-preferred, to purchase local fares and load their transit accounts. A successful prepaid tolling or transit program needs retailers on which their riders can rely. InComm's retail network reaches more than 500,000 points of distribution across the globe. We work with the largest and most popular retailers in the world, enabling us to get your products in front of the consumers you want to reach. We have partnered with the nation’s leading transportation agencies since first launching tolling and transit products in 2012. Our tolling and transit products are built on a foundation of innovative technologies and support, ensuring they will meet the needs of the consumers who rely on them. We provide partners and cardholders with 24/7/365 support through our call center. Our point-of-sale activation technology is the foundation of the prepaid industry. Our best-in-class monitoring and prevention have a positive impact on your bottom line.